Hosting a barbecue party requires a lot of advance preparation and it can be easy to forget important items that you’ll need for a successful afternoon or evening. 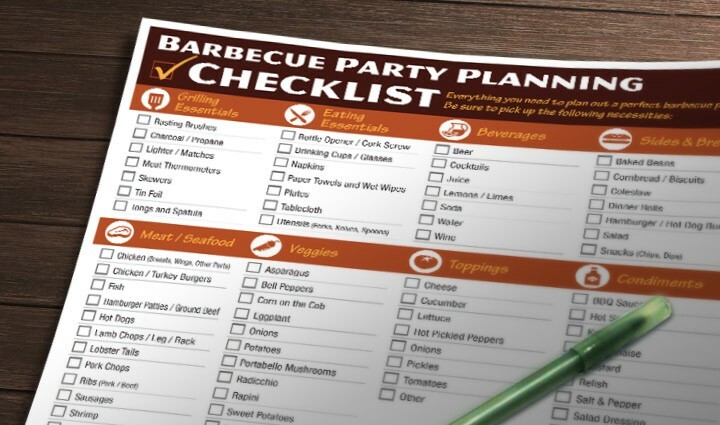 That’s why we’ve created this handy free Barbecue Party Checklist to make your party planning easier. 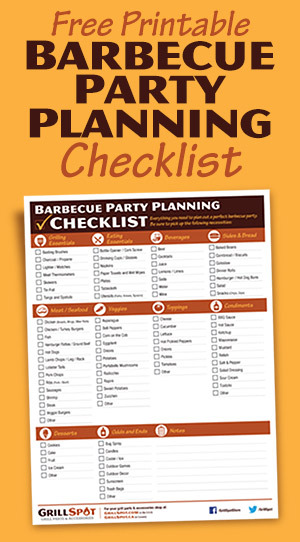 Print this list out and check off the items you need before you go shopping for your barbecue party. As you pick the items up, cross them off your list. We guarantee this checklist will help to avoid those “oh no” moments after your guests have arrived.